Linsey is a freelance machine. She graduated from my Transcript Proofreading course and built a successful business proofreading part-time for court reporters. 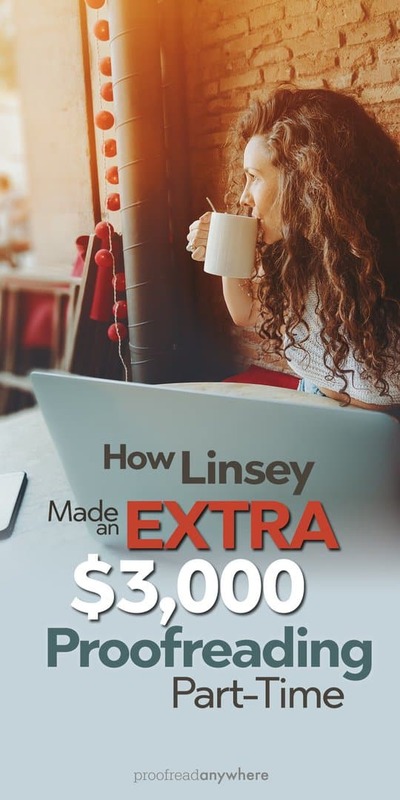 Like a true entrepreneur, Linsey knew she had to keep expanding her skills in order to make more money. So she’s also added general proofreading AND writing to her list of services! Pretty inspiring, right? Read all about her journey below! Q: Hey, Linsey! Can you tell us a little bit about your background? What did your life look like before you crossed paths with Proofread Anywhere? 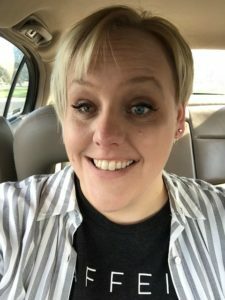 Before I came across PA via Pinterest, my life looked average, with my husband, Josh, two German shepherds, a house, and a day job at a mortgage company. I was fairly happy with our setup. Q: When did you start proofreading part-time, and what made you decide to learn how to proofread? I’ve actually been proofreading (and copyediting) for about five years now. I used to work for a local publishing company, but things went south with them, and they ended up letting everyone go back in 2013. 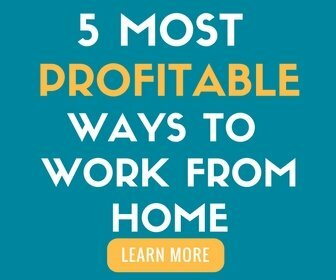 I have always wanted to work from home, but I am NOT a salesman, and I had the hardest time finding legit remote work. Like I stated before, I was fairly happy at my day job, but I wanted more control over my time and income. I never ever thought that I would be freelancing, just because I never saw myself as a business owner, but I got so tired of the 9-to-5 that I was desperate for a change. Q: So many of my students don’t see themselves as business owners! But that’s exactly what they become 🙂 So for you, what was the most challenging part in getting started? Believing in myself. I have super low self-esteem, so actually believing I could succeed was a huge mental block for me. I always had this thought in the back of my head that everyone else was so much better at this than I was, so why even bother? When I worked through the practice transcripts and would miss corrections, it was defeating. I would stop working and complain to Josh how I wasn’t cut out for this, and I was just going to embarrass myself on “real” transcripts. Q: That negative inner voice can really hold us back. Good for you for busting through those walls! What was the most valuable thing you learned during the course? Practice, practice, practice. I am so glad there are so many practice transcripts in the course to work on. I’m definitely a “doer” when it comes to learning, and having those transcripts to mark up was priceless. Seriously. Those of you who are considering the course, be thankful for those PTs. There are all kinds of weird stuff out in the “real” world, and Proofread Anywhere does an awesome job of preparing you for it if you put in the work. Q: Those PTs are what makes the course so valuable! But I know they’re tough — they’re that way on purpose 😉 So how long did it take you to find your first client? And how many clients do you have now? I graduated from the Transcript Proofreading course in early February, but I didn’t do much marketing until March. I found my first client in three weeks and currently have six full-time court reporters that send me work. They are all local. I haven’t marketed much more since I am currently working on my first manuscript proofreading client as well as building my freelance writing business. RELATED: Your proofreading courses aren't a good fit for me. What else do you recommend? Q: New skills! Tell me more. What made you branch out from transcript proofreading into general proofreading and writing? As Caitlin has stated before, “Mo skills, mo money.” I loved editing manuscripts at my previous job, so I knew I would enjoy it again as a freelancer. I found my first manuscript client through a random Facebook post in July. I’m also very excited to start my freelance writing business! Currently, I have three courses that I’ve invested in: a general freelance writing course (Earn More Writing by Holly Johnson), an SEO course (SEO Copywriting Training by Yuwanda Black), and a course on content marketing (Conquer Content Marketing by Jorden Roper). I think I’ve finally found my niche: nonprofit, specifically wildlife and environmental conservation. Apparently, it’s one of the harder niches to break into, but I’m passionate about it and really excited to try! Q: I’m SO proud of you! I love hearing when grads keep moving onward and upward toward amazing things. My heart will always be with proofreading, but it’s building on those skills that will take you to the next level. If you could give advice to anyone thinking about enrolling in one of the courses to learn how to proofread, what would you say? Is it worth the money? I think it’s wise to decide before jumping if you are truly serious about the course. It’s an investment, but I made the money back that I spent on tuition and my iPad within three months of working. It is completely worth the money, and it has opened up other opportunities for me that I had no idea were even options. Q: Yes! Many of my students earn back their startup costs within a few months of working. 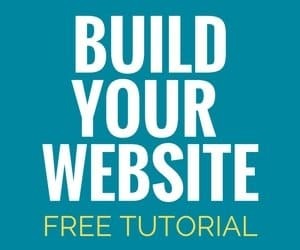 My course is a small investment when you compare it to your potential earnings. What does your life look like now as a working freelance proofreader? Exhausting. LOL. I still work my day job, only because my husband and I are paying off debt before we replace our 9-to-5s with our current freelance gigs. But it has been completely worth every late night. Proofreading part-time makes my day job more tolerable because I know I get to work on something fun when I get home. Don’t be afraid to invest in yourself and create a life that you want to live. Thanks to PA, I’ve made $3,000 in four months, which has helped decrease our debt tremendously! Go, Linsey, go! She took my “Mo’ skills, mo’ money” mantra and totally ran with it. I’m always thrilled to see my students changing their mindsets and realizing they can do anything they want, as long as they have the skills and positive attitude to make it happen. Linsey is a shining example of what Proofread Anywhere is all about! Have any questions or comments for Linsey? Leave them in the comments below! 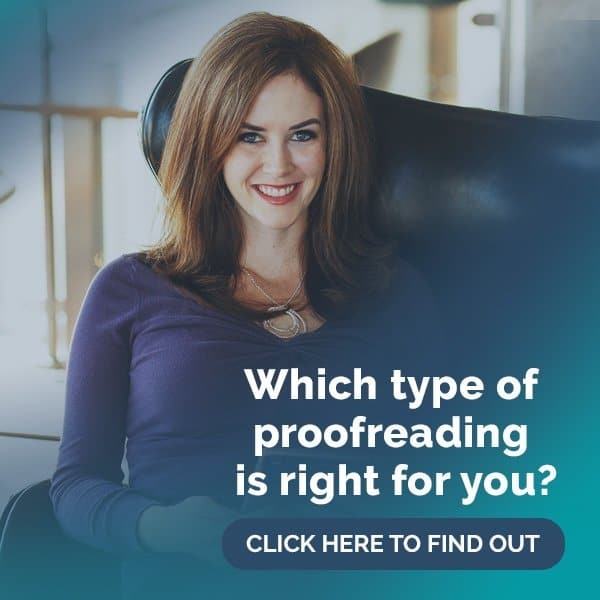 And if you want to learn more about freelance proofreading (and someday join Linsey in the successful PA grad group), check out my FREE 45-minute workshop or grab the kickstart guide below!